It’s winter, the Nordschleife has officially closed, and the only vehicles driving a lap of the Nordschleife right now are Unimogs, Trucks and panel vans. The official plans, which are laid bare belows, call for over 1km of new track surface to be laid over the Nürburgring, and several new FIA catchfences too. Additionally, both Hatzenbach and Kesselchen will benefit from upgraded FIA catch-fences. Hatzenbach’s new fences will be on the left-side of the track, preventing any unplanned forest-inspections from racecars or tourists. Interestingly, the additional fences at Kesselchen look like they will ‘push’ the guardrail forward a little bit, which maybe isn’t such good news. But this means the guardrail is being rebuilt closer to the track. Nürburg. After the season is before the season. 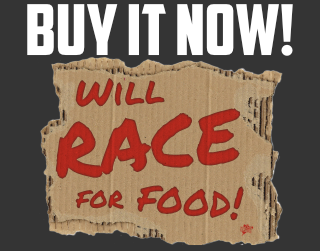 When motorsport at the Nürburgring goes into the winter break, the motors of the racing cars are silent, yet it does not stop at the traditional racetrack. Construction and renovation work is already in full swing, in order to be able to continue to offer the best conditions at all events. To ensure that everything is ready on time for the start of the season in 2018, excavators, dump trucks and rollers are at full throttle on the Nordschleife and Grand Prix circuit. 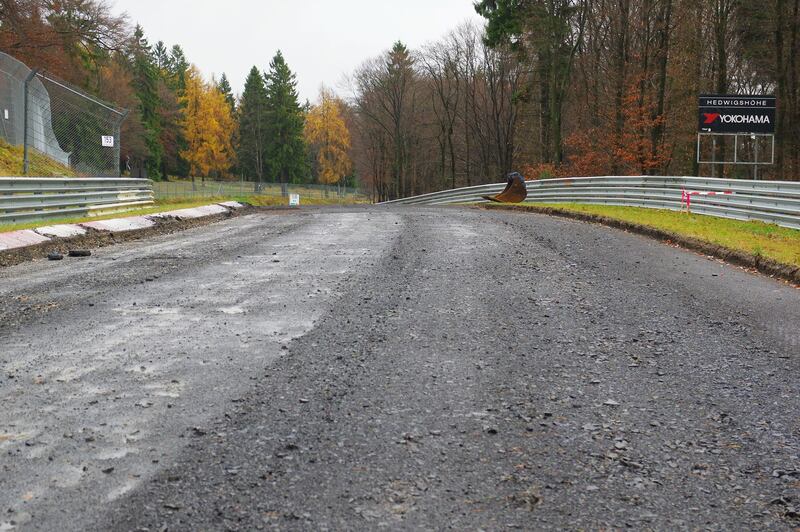 The Nürburgring refurbishes the asphalt sustainably to ensure a long service life adapted to the racing requirements. Depending on the condition, a “full extension” with a new antifreeze layer, base course and asphalt surface is carried out for this purpose. The specially developed “special asphalt”, which is used here, meets the special requirements for flatness and grip. 425 meters in the “Hatzenbach” area, 288 meters in the “Hohe Acht” / “Hedwigshöhe” area and 206 meters in the “Brünnchen” are on the Nordschleife. On the Grand Prix track, 177 meters between the Yokohama-S and the short connection will be renewed. 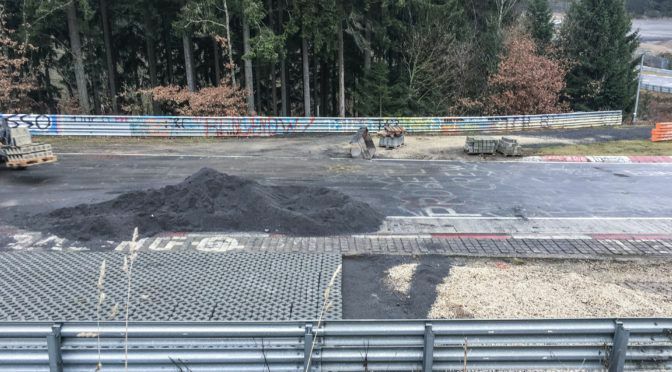 To further improve the safety for racers and other users of the track, new FIA safety fences are being built in the areas of Hatzenbach (in the direction of travel on the left) and Kesselchen, which came from the round table on the safety of the Nürburgring in 2015. These measures will continue to guarantee international and national sports licenses and use as a test track for the automotive industry. 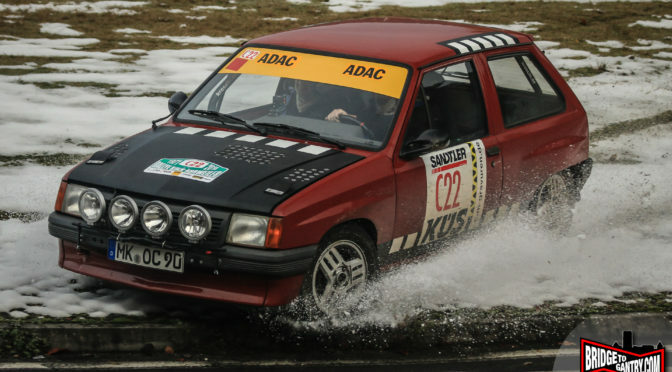 The work is carried out by experienced companies from the region (company Schnorpfeil, company Nett-Stahl- und Metallbau, Porz-Ingenieure), because in particular the execution time in autumn / winter requires a large technical know-how and good scheduling, to 2018 again in time to start the motorsport season.